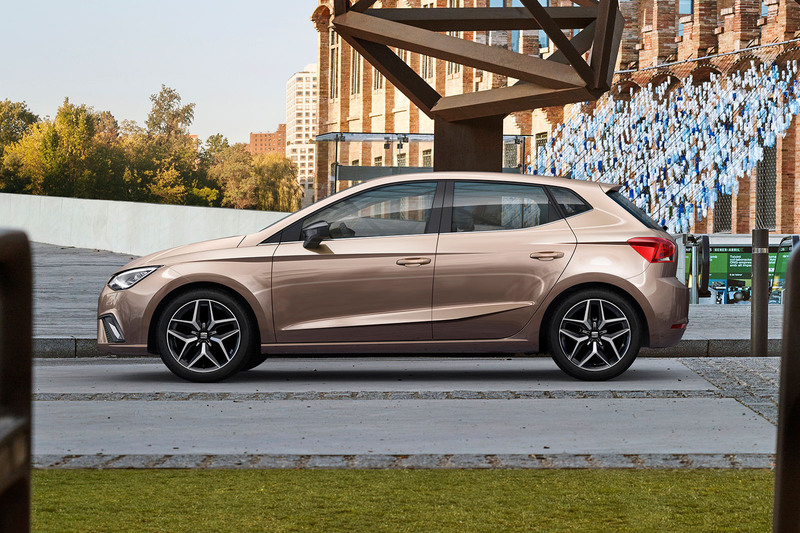 Prices of the new Seat Ibiza have been revealed; the Ford Fiesta rival starts at £13,130. The new Ibiza will be offered with five trim levels — S, SE, SE Technology, FR and range-topping Xcellence. Entry-level kit on the S will includes automatic lights and autonomous emergency braking, although only the front windows are electric. 15in alloys come with SE spec, as do front fog lights, automatic wipers, cruise control, multicolour ambient lighting and a multimedia package, while SE Technology, expected to be the top-selling spec, upgrades the multimedia package, adds bigger 8.0in screen than the standard 5.0in one, sat-nav, DAB and two USB ports. Sporty FR spec gets 17in alloys, tinted rear windows and twin exhausts, while inside, four selectable drive modes, sports seats and a flat-bottomed steering wheel add sporting touches, and tech upgrades include smartphone integration. Rear disc brakes and sports suspension also are fitted. It is yet to be decided whether or not the fifth-gen car will get the Cupra treatment. Luxury Xcellence trim gets Alcantara upholstery, front and rear parking sensors and a rear-view camera, as well as other luxury kit. Seat has also partnered with Beats on an upgraded audio sound system, but is an optional extra, rather than being used in a stand-alone special-edition model or offered as a trim. 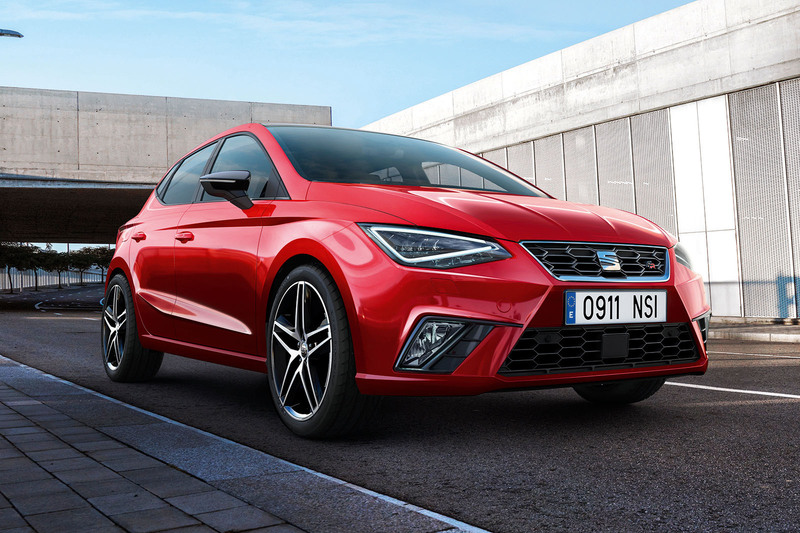 The latest Ibiza is the first car to be built on a new platform that’s crucial to the success of future Volkswagen Group superminis and small SUVs. It's on display at the Geneva motor show. 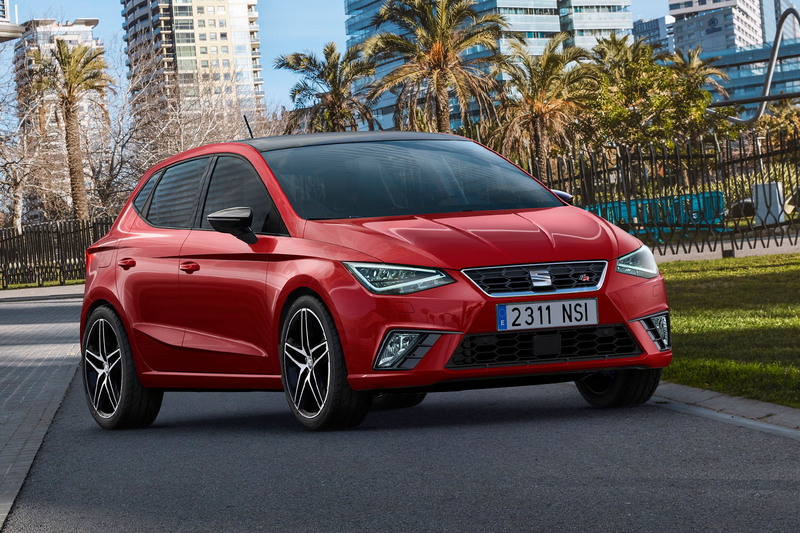 For its fifth generation, the Ibiza gains a new design, a roomier interior and more kit to take the fight to tough supermini rivals such as the Volkswagen Polo, Vauxhall Corsa and recently revealed new Ford Fiesta. The Ibiza was the best-seller in Seat’s range until very recently, when it was overtaken by the new Leon. It has shifted more than 5.4 million units worldwide, with an average of 18,000 a year in the UK since 2008. Those sales figures include three bodystyles — three-door, five-door and ST estate. However, the new Ibiza will be sold as a five-door only. Traditionally, the three-door model has accounted for as much as 40% of the Ibiza’s sales, but a downturn in sales in recent years has prompted Seat to offer the fifth-gen model as a five-door only, just as Renault has done with the Clio, Nissan with the Micra and Skoda with the Fabia. Also, there won’t be estate version; that gap will be plugged by the Arona, the forthcoming Ibiza-based small SUV. The Arona will share the Ibiza’s VW Group MQB A0 platform, which is also expected to underpin the future Polo and Fabia. The architecture is said to be lightweight and capable of supporting different bodystyles within the same segment. The new Ibiza is 87mm wider, 2mm shorter and 1mm lower than the model it replaces. The wheelbase is 95mm longer, which, Seat says, has enabled it to create a more spacious cabin. The boot volume has increased by 63 litres, giving it a total capacity of 355 litres. Most engines will be carried over from the current line-up but there will be a new four-cylinder 148bhp 1.5 TSI petrol unit. The range will also include a three-cylinder 1.0-litre petrol engine and a 1.6-litre diesel. A five-speed manual gearbox will be available with the lower-powered engines and a six-speed gearbox for the more powerful. A seven-speed dual-clutch DSG gearbox will be available as an option. Hot superminis are popular in the UK but not globally, so Seat wants to see if there is an appropriate business case to create a Cupra version. If it does, Cupra models usually follow six to 12 months after the base model is launched. Evolution over revolution. My first reaction was it that it was a Leon photocopied at 75%. I can almost see a spindle grille in the front fascia too! Oh look another VW clone, little drama, straight lines, creases, etc. The VW photoshop filter is getting a lot of use. Goodbye creativity, goodbye sense of occassion, goodbye interest. Hello mediocrity. The interior is the same. Oh and i drive an Octavia which is just a bigger version of the same. Perfectly acceptable cars but little interest. Come back please exciting design. Spot on, this is dull dull dull. Your enthusiasm for a Honda badge over a SEAT badge, is not shared. Highline is correct. Leon in photocopier, -75% and hey presto new Ibiza.